Our vision is simple. We believe in the value of dance as an enriching art form. For the past 30 years, dance umbrella has provided high-quality dance and movement classes. An alternative form of self-expression, dance helps build self-confidence, create healthy bodies and minds, and develop creativity. Thousands of students have gone through our training programmes, many of whom have successful careers in the performing arts. We offer instruction in a wide range of dance styles for children, young people, and adults. See below for a full list of our classes and instructors. Classes begin on September 10, 2018. 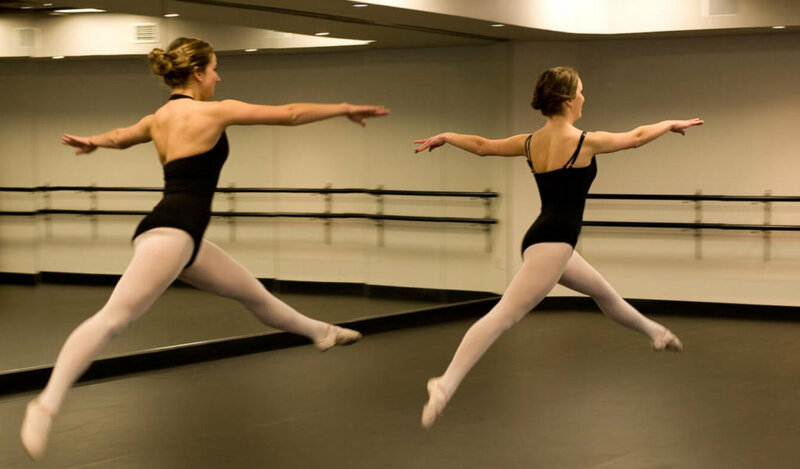 This class is designed to meet the needs of adults with significant ballet experience. The class will meet once a week, allowing busy adults to fully participate in a class which will challenge them at an appropriate level. This weekly workshop is a class promoting both the physical benefits and the joy of dance. Each week, we will have a rigorous warm-up that will activate our breath and heart rate, and move into some contemporary dance combinations as well as exploring a variety of other dance styles, linked to the interests of the class participants! This class is designed for adult dancers with some previous dance experience, however adults with experience in other movement forms such as yoga, tai chi, etc. are welcome to try out the class in the first few weeks to see if it is a fit. Dance for the Health of It is a fun fusion of various dance styles, warm-up rhythms and stretch exercises designed for adults to get the body moving. Participants will develop awareness of their bodies as they learn the “hows” and “whys” of dance as a form of exercise. Join SoPA graduate Dawn Ward for a lively experience of African-inspired, Caribbean-flavoured Jazz dance. This high-energy class is open to ages 14 to adult, with some previous dance experience required. Ballet levels beginner through senior is a program for ages 6 to adult, with placement based on previous training and natural ability. Beginning students will be introduced to the basic elements of Ballet with focus on posture, correct use of muscles, and grace of movement. This theme is carried through the program as steps become increasingly complex and more emphasis is placed on performance and presentation qualities. The first 45 minutes of this class focuses on intensive conditioning for the dancer, with targeted strength and flexibility exercises. The second half deals with mastering the technique of turns and jumps and exploring some of the “tricks” of current dance practice. The turns and jumps section is restricted to students in Intermediate Jazz IV or higher. Participation in the conditioning aspect is open to anyone at least 13 years of age, and the fee is half the regular class price. Contemporary Dance levels beginner through senior is designed for students from 10 years of age. Emphasis is on the expressive nature of dance, as well as technique and performance values. Students will incorporate an emotional element with total body awareness. Creative Movement is for pre-schoolers aged 3-5. These classes enable students to experience movement to music through songs, games, stories and a variety of musical rhythms and introductory dance patterns. Children must have turned 3 by June 1 for a September program. Dance Basics is a program where children aged 6-7 will continue to explore movement, music and creative expression while being introduced to technical elements of a variety of dance forms in a fun and upbeat setting. Hip Hop will be taught by Joe Dames, and will focus on Street Dance and Interpretation. Joe’s style is both American and Caribbean based, and the class will be working towards Intermediate and Advanced choreography. Open to ages 12 and up. Musical Theatre, a course for students ages 8 and up, explores technical and expressive elements of drama, voice and dance used in musical theatre productions. The emphasis of the program is on skills development, which are then highlighted in musical productions at The Mack. Students in grades 3 – 6 who are new to the program will start in the Beginner class, and older beginning students will enter the program in the Teen level. Tap is an introductory level course, focusing on classical Tap technique. 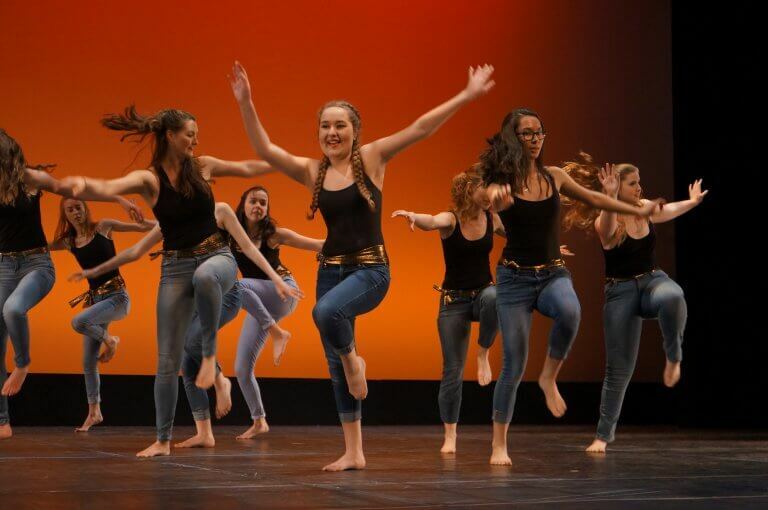 Students will develop the technique and performance skills required for this style of dance, with music chosen from a wide range of genres. Open to ages 12 and up. Dawn Ward was born and raised in Freeport, Bahamas, and is a graduate of Theatre Performance at Holland College School of Performing Arts. She has trained with the Bahamas Dance Theatre, Frenchwoods Performing Arts, Allegro School of Music, among others. Dawn’s teaching styles include African Jazz, Hip Hop, Flirty Fitness, and Caribbean Movement. Dawn is delighted to be back on PEI, and is looking forward to sharing her love of dance with her students. Callista Gilks is a graduate of the Dance Performance program at Holland College School of Performing Arts, and holds her Bachelor of Applied Management from the University of New Brunswick. She has trained and performed professionally with Modus Operandi Contemporary Dance Initiative in Vancouver, BC. Originally from Miramichi, NB, Callista began teaching various styles early on in her dancing career and is thrilled to be back on the Island teaching at dance umbrella. Galina Terentiev has 15 years teaching experience in various styles, first in the Ukraine and, more recently, in Israel. Galina completed University of Education, Faculty of Choreography with honours. She is a versatile and highly knowledgeable instructor and choreographer. Julia Sauvé, M.A. in Movement Education, has been performing, teaching, and choreographing on Prince Edward Island and the United States for 35 years. She co-founded dance umbrella and Montage Dance Theatre, and has performed with The Charlottetown Festival. Currently, Julia is Artistic Director for Luminosity black light theatre which specializes in “family edutainment” style performances. Kylie Fudge Jensen is a dancer, choreographer and teacher, originally from Victoria BC where she received her early training in ballet, contemporary and modern at Victoria School of Contemporary Dance and Victoria Academy of Ballet. Kylie studied dance at York University and is a graduate of the Performance Studies program at George Brown College and holds a Certificate of Professionalism from Canada’s Ballet Jörgen. In addition to creating her own collection of works on her company Influuent Momentum, Kylie has performed in solo pieces, duets, and group work in a variety of settings, including backup dancer for international artists. The opportunity to work with and train under some of the industry’s most exciting professionals has instilled a passion for creation and a love of teaching to students’ highest potential. Peggy Reddin is Director of Arts Education at the Confederation Centre of the Arts in Charlottetown, PEI. She co-founded dance umbrella in 1988 with Julia Sauvé and has served as its Director since 1996. Ms. Reddin is the program coordinator and instructor for the Dance Performance and Theatre Performance programs in the Holland College School of Performing Arts, a partnership with Confederation Centre. She has taught with Charlottetown Ballet Theatre, DancEast, and Charlottetown Festival Young Company, and has directed and choreographed numerous events on the Island. Ms. Reddin is a graduate of the National Ballet School Teacher Training Program and holds a Bachelor of Arts (Philosophy) degree from U.P.E.I. Sandy Zinck holds degrees in Arts and Music (voice) from Acadia University and an Education degree from University of Alberta. She has taught drama and musical theatre with both Edmonton Public Schools and the Toronto Board of Education. Taryn Kristalovich holds her BFA in Theatre Performance-Dance from Ryerson University. She has trained and performed around the world in various styles such as contemporary, jazz, ballet, and tap. Prior to moving to the Island to teach with dance umbrella and the Holland College/Confederation Centre partnership School of Performing Arts, Taryn spent several years teaching and choreographing in BC. Wanda Naylor has trained in a variety of dance genres such as tap, jazz, social dance and creative movement at York University, Humber College and private studios in Ontario. She has earned degrees in Fine Arts and Primary/Junior Education from York University. Wanda has performed with Merrytime Clown and Puppet Theatre and created choreography for the Beaconsfield Children’s Festival.